What if you took a delicious thing (avocado toast) and made it even better? You're good with that, right? OK, thought so. We present to you the best avocado toast recipe ever. It's topped with peppery arugula, thin slices of shallot, then crowned with a glorious fried egg and a scattering of parmesan cheese. We love it so much, we gladly eat it any time of the day: breakfast, lunch, dinner, and sometimes a midnight snack. It's healthy so you can feel great about eating it often. For a vegan-friendly version of this dish, feel free to omit the egg and cheese. To make it even healthier, swap in multigrain toast for the white bread. Per Serving: 350 calories; 23g fat; 24.4g carbohydrates; 14g protein; 200mg cholesterol; 663mg sodium. The spicy arugula gave this avo toast great flavor. If I'm in a rush, I skip the egg, and it still tastes great. 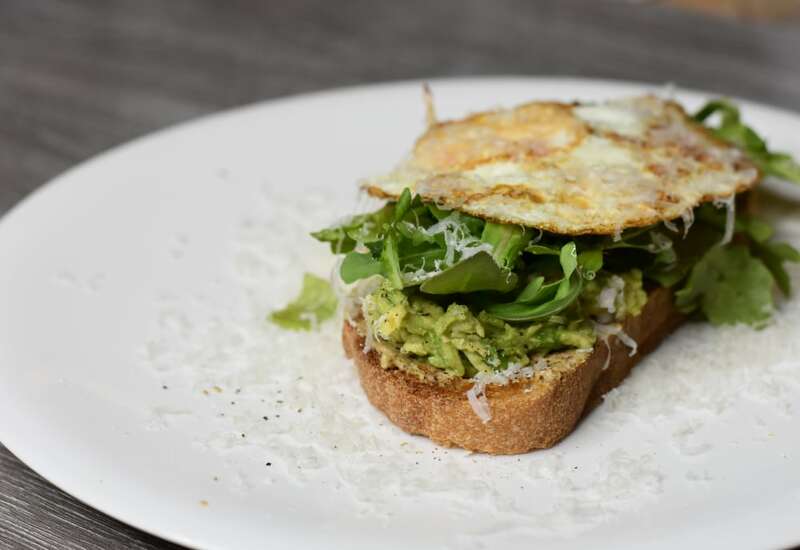 I loved this avocado toast recipe, especially with a fried egg on top. Arugula is one of my favorite greens, so I added extra, about 1 cup. Great for lunch or a snack!